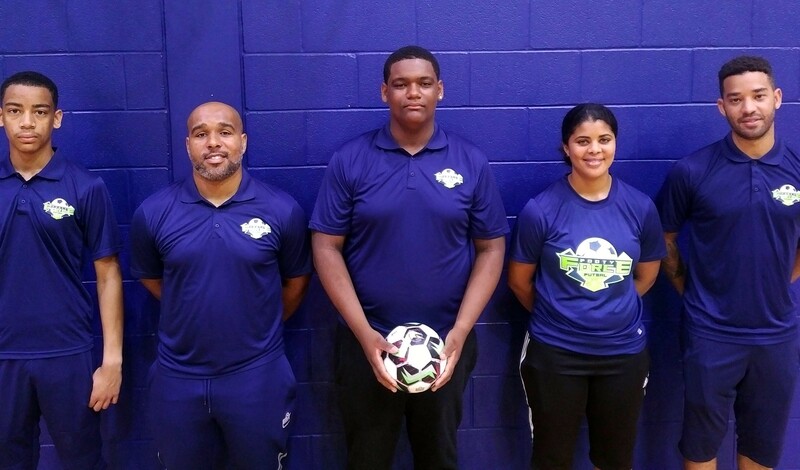 The Footy Force Futsal Academy (FFFA) is committed to the growth of futsal in Bermuda. To express their commitment they have sponsored 15 local coaches to complete their Futsal Level 1 Diploma course provided by the United Soccer Coaches Association (USA). Eurique Wilkin (Technical Director of FFFA) said, “We continue to improve player’s skills through futsal. The interest in our futsal program is growing and we have a waiting list for almost every age group, we felt it was vital to not only to increase our coaching staff but to give them a solid foundation in Futsal education. This is a course that we worked closely with United Soccer Coaches Association to allow us to sponsor which in return the coaches have contributed their time back into the program. We were extremely pleased in the positive response from the people interested. We now have 15 coaches certified and with 8 of them under the age of 18. The course taught the fundamental concepts of futsal as well as how to run and manage training sessions and games. Our program then provides these coaches with a platform to put their theoretical knowledge to practical use. We want to be known as an organization that not only teaches futsal to develop players’ technical ability but also develops and creates good people in the community. We are using our coaching education platform for coaches to contribute back into the program at a young age. The junior coaches have been able to complete their community service hours. In addition, they are also given support to further their education and apply for scholarships. We believe by teaching the game to others it will help them to develop their own understanding of the game as well as work on soft skills, being leaders and role models. •	Learn about important contributions futsal can offer coaching education programs for youth coaches. •	Understand the basic techniques and tactics associated with futsal. •	Have a perspective on the history of the game. •	Gain awareness of the rules that give futsal its unique character through a comprehensive Futsal rules video. •	Identify similarities and differences between futsal and outdoor soccer. •	Appreciate the role futsal can play in young player development. •	Receive 30 training activities appropriate for players in Stages 1-5 of development (3-18 years old), in full color PDF and video.